Researchers often use hypothetical scenarios to understand how people grapple with moral quandaries, but experimental results suggest that these scenarios may not always reflect real-life behavior. 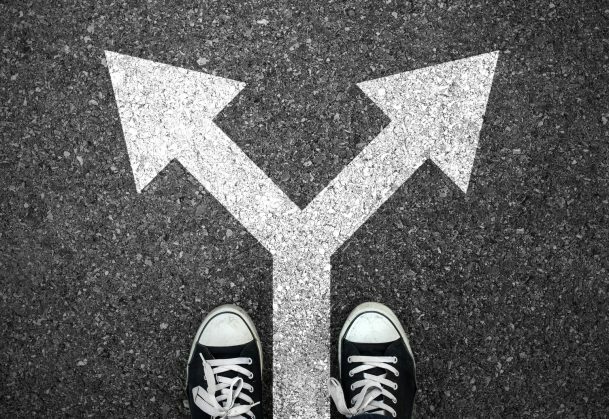 The findings, published in Psychological Science, a journal of the Association for Psychological Science, showed that people tend to focus more on the outcome of their decision and less on absolute moral principles when faced with a real-life scenario as opposed to a hypothetical scenario. The “trolley problem” has become a fundamental paradigm in moral psychology research in which participants encounter a hypothetical scenario involving a runaway trolley that is about to hit five people on the tracks. They can take no action, in which case all five people will die; alternatively, they can pull a lever and divert the trolley to another set of tracks, in which case only one person will die. Participants’ decisions depend on whether they focus on the total amount of harm caused or on the moral principle to do no harm, and studies conducted over several decades suggest a variety of factors that are associated with the decisions people make. Despite the ubiquity of the trolley-problem paradigm, Bostyn and Ghent University colleagues Syben Sevenhant and Arne Roets noted that few studies have investigated whether responses to such hypothetical dilemmas actually line up with people’s moral decision making in real life. In this study, 192 university student participants completed an online questionnaire containing a series of hypothetical moral dilemmas and measures assessing various individual factors, including the desire for cognitive challenge, antisocial tendencies, empathic concern, perspective taking, moral identity, and animal empathy. A week or two later, the participants came to the research lab, where they saw an electroshock machine hooked up to two metal cages – one contained five mice, while the other contained one mouse. A laptop connected to the electroshock machine showed a 20-second countdown. The researchers told the participants that the cage with five mice would receive a very painful but nonlethal shock when the countdown ended; the participant could choose, however, to press a button to have the shock delivered to the cage with only one mouse. In actuality, none of the mice received an electric shock. After the experiment, the researchers debriefed the participants and asked them to explain why they made the decision they did and report how much doubt and discomfort they felt with their decision. A separate group of 83 participants completed the online questionnaire and later responded to a hypothetical version of the mouse scenario. The results showed that participants who responded to the hypothetical scenario were twice as likely to choose the passive option compared with participants faced with an in-person decision. Participants who preferred outcome-based reasoning were more likely to say they would press the button to divert the shock in the hypothetical scenario, and they expressed less doubt and discomfort with this decision. But participants’ decision-making preferences were not associated with actual behavior in the lab-based experiment. Although the victims in this study were mice rather than humans, the researchers argue that the moral considerations are the same in both types of scenarios. Bostyn notes that participants who chose to press the button in the real-life scenario often seemed apologetic about it during the debriefing session, a tendency that could shed light on the discrepancy between real-life behavior and hypothetical decision-making. Did you have anyone ask how much the mouse by itself would be “shocked”? Since your participants in this test did not know the mice would be shocked. If so did any of them thinking that the mouse by itself would get a shock strong enough to “kill” it wouldn’t you think that the easy choice would be cause a little bit of pain to the majority simply, because you would know they would survive it. I wonder if the correct moral reaction occurred to any of the participants, namely to refuse to take part in an experiment expected to cause unnecessary pain to animals, and to intervene try to prevent the experiment taking place at all?